Sanjay Patel and Ruth Warren are store directors at Specsavers in Maidstone. Sanjay Patel has been working with Specsavers for 23 years. He started training as an optometrist after university with Specsavers in Romford in 1990 and qualified a year later. He then joined the Maidstone practice as ophthalmic director in 1995 at the age of 24. Optometry runs in Sanjay’s family, as his father, uncle, brother and cousin all work in the industry and he never considered any other career. 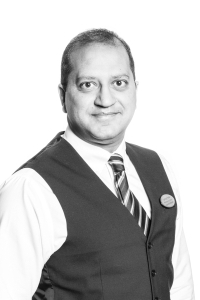 Sanjay says: ‘My favourite part of the job is the variety – I enjoy managing a large team as well as seeing patients. Sanjay was born in Walthamstow in London and raised on the London and Essex borders. In his spare time, he loves playing golf. He also has a 2 year old son. 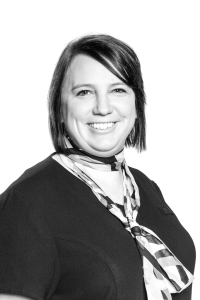 Ruth joined Specsavers in 2001 after studying optical management at Anglia Polytechnic University in Cambridge. However, optometry hadn’t always been her lifelong dream – as a child, she was keen to be a dentist. But after experiencing dentistry on her own teeth, she realised she was far too squeamish for such a career! She decided to pursue optometry instead, realising that she could impact on someone’s life as well as improve their self-esteem. She began her career in optometry at Boots Opticians, but after speaking to her mother who had been going to Specsavers for 30 years, she decided it was the place for her. Ruth says: ‘I love seeing the look on a child’s face when I fit them with their first pair of glasses and they can see properly for the first time.